The 3D Mac G5 computer system model set in Poser 3D model format has a computer CPU case, display, mouse and keyboard. There are morphs for tilting the display, opening the DVD tray and moving the power cords. (glass desk and chair not included). The 3D MacBook style laptop computer model in Poser and DAZ Studio format has well detailed textures, a movement to open and close the lid as well as a LCD panel template so that the display can be changed to suit your needs. The 3D office copier model for Poser and DAZ Studio includes a morph to move the paper to the copied / finished position. The paper is parented to the copier model, there is an extra piece of paper model included and there is a paper template included in the texture folder so that you can put whatever you wish on the paper. The 3D professional shoulder mounted movie camera model for Poser and DAZ Studio is well detailed and already scaled to fit any Poser / DAZ 3D or other 3D figure. The 3D tablet computer model in Poser in DAZ Studio format is ready to go and has well detailed textures. Also included is a screen texture template so that the display can be changed to suit your needs. The 3D professional move camera and tripod model with movements for Poser and DAZ studio, has a turn and tilt movement. The LCD external screen can be textured with any image you wish. 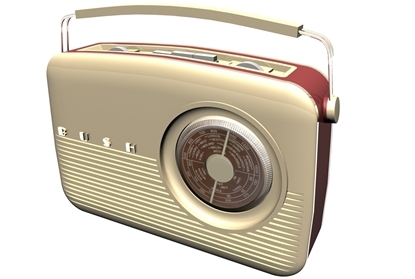 A 3D vintage bush portable radio model for Poser and DAZ Studio in Poser 3D format.